This classic book, written 17 years ago but still selling more than 13,000 copies every year, has been completely updated and expanded by the author. "I used to drink," writes John Bradshaw,"to solve the problems caused by drinking. The more I drank to relieve my shame-based loneliness and hurt, the more I felt ashamed." Shame is the motivator behind our toxic behaviors: the compulsion, co-dependency, addiction and drive to superachieve that breaks down the family and destroys personal lives. 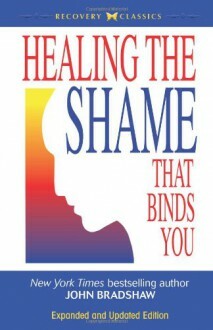 This book has helped millions identify their personal shame, understand the underlying reasons for it, address these root causes and release themselves from the shame that binds them to their past failures. I'm not quite sure what I think of this book. It made some good points but I don't agree with some of the things he said. It could be helpful, but I'm not sure if it's relevant to my life at the moment. I will have to re-read this at a later time.